Sesame Street engages children with its unique blend of excitement, humor, and compassion. Learn about how tidings of comfort and joy were first brought to Sesame Street. A longtime favorite of children and adults, and a staple of PBS, "Sesame Street" bridges many cultural and educational gaps with a fun program. Since 1969, children and adults alike have flocked to the place where multiethnic, multigenerational, and even multispecies residents coexist in harmony. The people on this very special street learn life’s lessons together, provide viewers with strong role models, and teach children that everyone brings a special ability to the community. Here, children learn to use their imaginations, build social skills, and respect people’s differences. The phenomenon that changed the face of children’s television came about after co-founder Joan Ganz Cooney observed that children in underserved communities were at a disadvantage when it came to school preparedness. She assembled a team of educational advisors, researchers, and television producers to create a show that would directly impact children’s lives. Sesame Street put television to work as an educational tool, and independent research has repeatedly and conclusively proven that the approach succeeds in improving cognitive skills, teaching respect and social skills, and promoting school readiness skills. 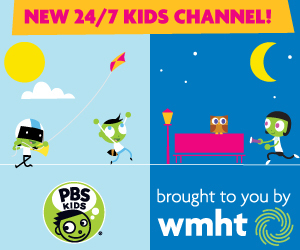 Children who watch the show as two-year-olds gain an advantage in math, vocabulary, and other school readiness skills by the time they are five. 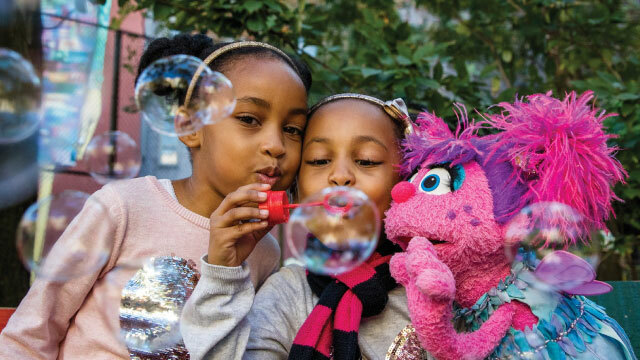 Sesame Workshop’s international co-productions are carefully crafted to meet local children’s specific educational needs. Child development experts from each country work with local directors, producers, and writers to translate the show’s magic in a way that resonates with children in a given country or region. The action takes place in a variety of familiar, child-friendly settings, including a plaza in Mexico and a marketplace in South Africa. Additionally, each co-production includes characters – such as Samson, a big brown bear in Germany; Halum, a tiger in Bangladesh; and Tantan, an orangutan in Indonesia – that have been designed by local teams to have particular cultural relevance. It's Christmas Eve on Sesame Street! After putting out cookies for Santa, Elmo's dad tells him a bedtime story about his great-great-grandmonster Elmo and how Sesame Street was once an unfriendly street. Everyone was grouchy and there was no holiday spirit. With the help of Grandmonster Elmo's new friends, they try to find a way to bring back the holiday spirit in hopes that Santa would come to visit. They learn that all you need is kindness! 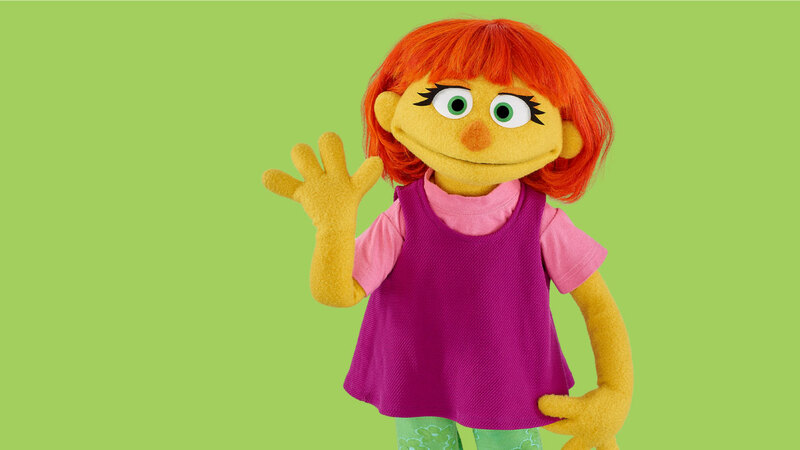 Introducing our new friend on Sesame Street! Julia is sweet, curious, and loves to play. And she has autism. Bilingual multi-media tools to help kids and families enrich and expand their knowledge during the early years of birth through six. Help your child make a plan for a party for stuffed animals or friends! Explore counting and animal knowledge with your child by creating ladybug art. Help your child engineer a structure for a special object, such as a stuffed animal or a small toy.